Taste test: We're always eager to try new jalapeño chips, and we were quite pleased that we had the privilege of tasting this one. 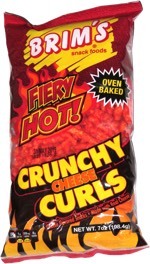 These thin-cut potato chips had a kettle-cooked texture with excellent crispness and crunch. 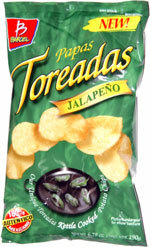 Best of all, there was had a great jalapeño flavor that grew hotter once you finished eating the chip. The heat was hot but not super-hot. The taste was top-notch. Smell test: Nice jalepeño smell, slightly hot.